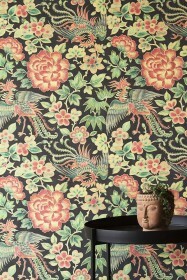 Introducing the Rockett St George own-design wallpaper collection! 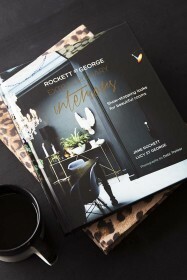 A wallpaper collection of floral, animal print, lace and bold patterns, the Rockett St George Wallpaper Collection has been designed for the fearlessly creative in search of a dramatic backdrop for the home. 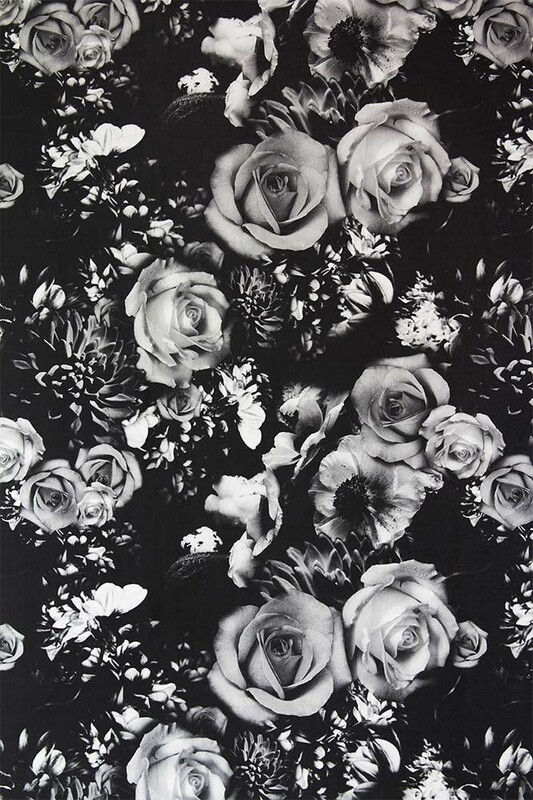 A sea of dark romantic flower patterns in a black and white hue the Rockett St George Flower Power Monochrome Wallpaper oozes floral wallpaper drama. 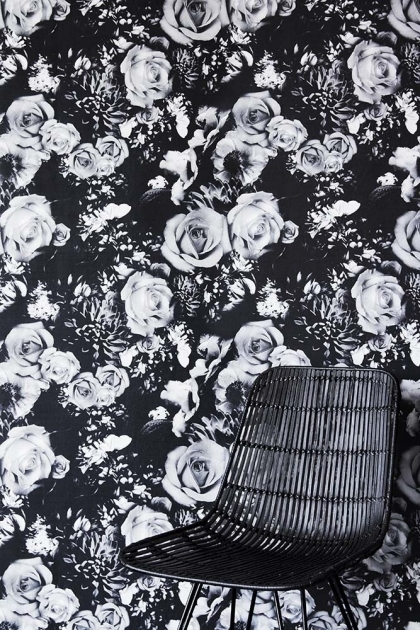 An interesting juxtaposition between traditionally playful and flirty floral patterns against a dark, dramatic and big floral print the Flower Power Monochrome Wallpaper is a modern twist on floral designs. A gorgeous wallpaper that will look awe-inspiring in your living room, hallways, bathrooms and bedrooms … adorn your wall in floral loveliness and transform your home into the extraordinary! 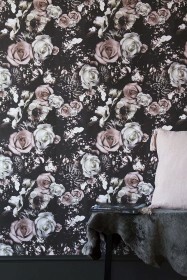 RSG Top Tip: Wallpaper is not just for walls! 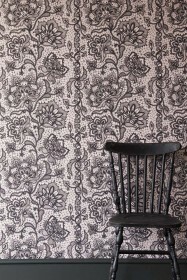 Consider lining your wardrobes and drawers, creating DIY wall art, upcycling your furniture or even using your leftover wallpaper strips as gift wrap … the more creative you can be, the better! 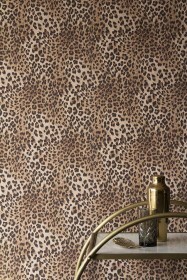 Material: Dimensionally stable, heavyweight, FSC certified high quality Non woven paper. 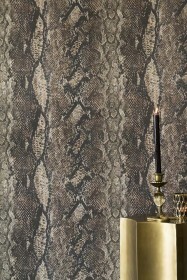 Rating: EN13501-1 B-s1 d0 suitable for commercial environments. 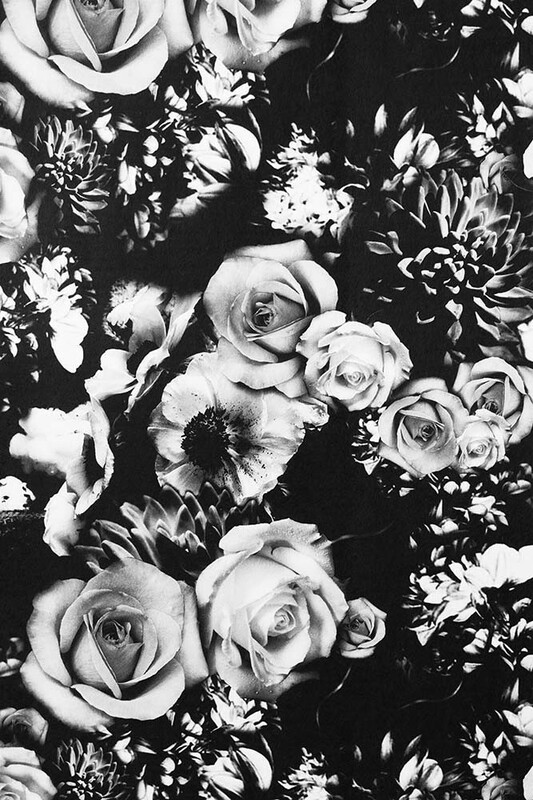 Printed with environmentally friendly, water basedÂ inks from machinery powered by renewable energy sources.